Despite surgery to remove cancerous tumor near left eye, Senator John McCain pledges to return to Senate soon. Arizona Senator John McCain promised constituents he would not be sidelined long by a recent surgery to remove a brain tumor, and would be returning to the US Senate soon. Just one day after his office disclosed that the 80-year old 2008 Republican presidential nominee had been diagnosed with primary glioblastoma, one of the most aggressive forms of brain cancer, McCain tweeted on Thursday that he would be getting back to work in the near future. President George W. Bush, who was McCain’s rival during the 2000 GOP presidential primary season, called to wish the senator a speedy recovery. Bush said McCain was in good spirits when he spoke with him. On Wednesday, McCain’s office revealed that the senator had been diagnosed with one of the most aggressive forms of brain cancer, primary glioblastoma, and that a tumor had been removed near his left eyebrow during a recent four-hour operation. While the average lifespan of a patient with primary glioblastoma is 14-16 months, some patients have been able to live as long as 10 years after being diagnosed. 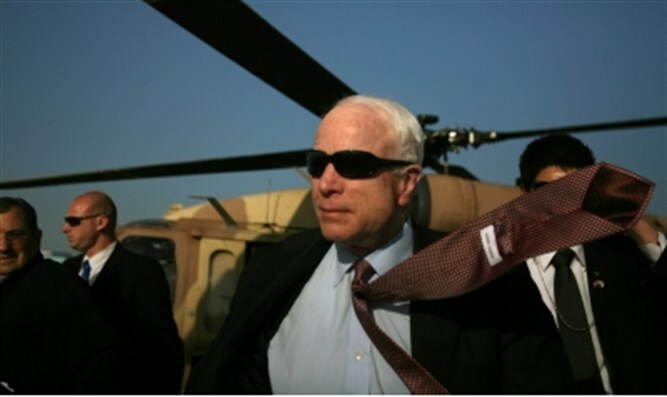 “It’s a very aggressive tumor,” Dr. Sanjay Gupta, who evaluated McCain’s medical records ahead of his 2008 presidential bid, told CNN. Dr. Gupta said the average life-expectancy once primary glioblastoma has been discovered is about 14 months. The chair of Montefiore Hospital’s neurosurgery department, Dr. Eugene Flamm, told The New York Times the median life-span is 16 months. But as University Hospitals Case Western Reserve neurosurgeon Dr. Andrew Sloan told Fox News, with experimental treatments now available, some patients are able to live as long 10 years with the cancer.